Mark Bradley (ed. ), Smell and the ancient senses. 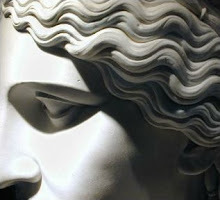 The senses in antiquity. London; New York: Routledge, 2015. Pp. xii, 210. ISBN 9781844656424. $39.95 (pb). Mark Bradley opens this collected volume of 13 essays by stating: "one of the most interesting things about smell is its very transitoriness and elision from the record, as well as its ambiguities and complexities" (p. 2-3). This sentence sums up the book as a whole and sets the stage well for what can be considered an excellent collection of work on smell in the ancient world. The second part of an ongoing Routledge series on The Senses in Antiquity (sight, sounds, taste, and touch are still to come), this volume seeks to explore the role and experience of smell in antiquity (more specifically in Greek and Roman contexts) through the lens of ancient literature, art and archaeology, a job that it does very well and from a number of different viewpoints. As Morley states in his chapter on the urban smells of ancient Rome: "it is conventional to begin any discussion of smell in history with a lament about the neglect of this theme in modern scholarship" (p. 110). Bradley, in his Introduction, gives the reader a useful run-down on the currently existing literature on the subject of ancient smell and olfaction (pp. 9 -11), but he equally highlights the relative paucity of this literature. This is echoed throughout the other essays, and the relatively slim bibliography and constant reuse by most authors of the 'classic' smell literature (e.g. Classen, Howes and Synnott 1994, Corbin 1986, and Drobnick 2006) is further evidence of this.1 This volume therefore comes as a welcome addition to the slowly growing corpus of smell literature and is further evidence of the importance of the current 'sensory turn' in the exploration of the lives of ancient peoples (cf. Hamilakis 2014, Reinarz 2014, and Classen's Cultural History of the Senses series). The volume is well organised along logical lines and is broken down roughly into themes. These themes firstly examine the nose and the physiological use of smell (Totelin, Baltussen), then we enter the bipolar realm of fragrant vs. foul - with three essays on the production, use and interpretation of smells (Clements, Draycott, Butler). This general theme of smell being polarised into pleasant or unpleasant runs throughout most of the papers. The middle two chapters look at how urban smells may be considered noxious and intrusive (Koloski-Ostrow), but also emphasise that the nose can become acclimatised to certain smells and what this may mean for our modern noses trying to interpret what the world used to smell like (Morley). The next chapters examine the politicisation of smells, and what spin can be put on different smells to use them to represent desired social values, etc. (Potter, Bradley). Two chapters concentrate on the use of smells in a religious context (Green, Toner) and how the differing uses of smell changed the religious sphere — and finally we are treated to a short chapter by Bradley and Varner on nose mutilation and what this may mean in relation to the removal of smell both politically and personally. Bradley is up-front about the fact that there is no sustained definition or interpretation of smell throughout the volume. This is a welcome admission, as his explanation for the lack of definition is that (the interpretation and usage of) smell is multi- faceted, subtle and transitory – very much like the nature of smells themselves. The volume certainly does not suffer from the lack of a sustained definition of smell; indeed it benefits from the freedom of the authors to take smell and olfaction and explore it in a playful, unfettered way. The breadth of the different contributions means there is not room to discuss each one individually, but each certainly contributes something useful to the volume and as a whole they give a good overview of the current (and varied) thinking on the subject. The early chapters present excellent discussions of smell for both medical diagnosis and prognosis, along with a discussion of which herbs and trees may have been experienced and exploited for their smelly qualities. In some cases it seems as if the authors are perhaps 'tacking on' a discussion of smell to some of their previous research – this is particularly true of Koloski-Ostrow (with her focus on sewerage systems) and Potter (on Roman dining) – but the contributions don't necessarily suffer for this and indeed it can be taken as evidence of how pervasive the study of smell should be. The choice of the contributions means interesting juxtapositions are sometimes presented, with Butler's exploration of the poetical creation of the sweet-smelling 'scent of a woman' being set against Bradley's discussion of the foul smells of the body. The chapters on the role of scent and smell in religious contexts, (Clements [on Greek ritual], Green [on smell in Rabbinic Jewish ritual], and Toner [on smell in Christianity]) work together very well to present three different ways in which smell can be used to appease or attract the gods. The exploration of the role of incense throughout these three chapters aptly demonstrates both the ethereal nature of smell, but also its politicisation to achieve one's own aims.3 As Clements says, "odour emerges as an experience of divinity, and divinity, in turn, as an experience of odour" (p. 59). Using a mixture of archaeological and literary evidence, Koloski-Ostrow's contribution creates a vivid picture of the likely smells that would have been encountered if one was living in a house within a Roman city — mould, dampness, charcoal fires, leaking pipes from toilets on an upper floor, food processing, animal smells, etc. She conjures up a smellscape of a working Roman city, that she suggests would have been extremely pungent and often unpleasant to walk through. The following essay (Morley) on urban smells directly challenges this approach and calls for a level of perspective when dealing with lively historical smells compared with our deodorised present. "Replacing one set of clichés, that present the past as familiar and sympathetic, with another set that present it as alien and alienating, represents at best only a marginal development in historical understanding" (p. 112). Morley goes on to present an impassioned argument against the fetishisation and polemical nature of''stinking-up' the past. He suggests that Romans likely became acclimatised to 'bad' smells, and, contrary to the volume's earlier discussions of smell within Roman literature, Morley highlights its relative lack of presence — especially in connection to the stink of the city. It would seem instead that to ancient city-dwellers it was the countryside that smelled the worst - something that modern city-dwellers may agree with. Morley's paper is a stark reminder that the sensory turn has a danger of over-emphasising the multi-sensory nature of the past — of making significance out of things that were simply everyday and perhaps had little or no impact on the lives of everyday people. Morley's chapter is followed by Potter's contribution on the role of scent in dining, which presents some disagreement with Morley [arguing elite Roman diners did everything they could to not smell like the City] and highlights the relative differences in the ancient experience of smell that are evidently a result of the class divide. 1. It should also be noted that the other 'classic' smell example, Süskind's Das Parfum, is mentioned four times in the volume, but Proust's madeleine is thankfully completely omitted. 2. However, recent research (Wnuk and Majid 2014) has shown that some societies in the Malay peninsula have an extremely rich vocabulary for odours – and therefore our inability to accurately describe smell may be just because we simply lack the words for it. Classen, C., Howes, D. and Synnott, A., 1994. Aroma: The Cultural History of Smell, Taylor & Francis. Corbin, A., 1986. The Foul and the Fragrant: Odor and the French Social Imagination, Harvard University Press. Drobnick, J., 2006. The Smell Culture Reader, Bloomsbury Academic. Hamilakis, Y., 2014. Archaeology and the Senses: Human Experience, Memory, and Affect, Cambridge University Press. Reinarz, J., 2014. Past Scents: Historical Perspectives on Smell, Urbana, Chicago: University of Illinois Press. Wnuk, E. and Majid, A., 2014. "Revisiting the limits of language: the odor lexicon of Maniq". Cognition, 131(1), pp.125–138.